the enigmatic horseman rides in. displaying the mystic white rose. he harvests the souls of the dead. the ego is to be swallowed whole. we awaken to symbolic intuition. He who renews life to regenerate. He who faces death several times. trapped inside his own la-la land. as well as you, in his jar of hearts. meets despair and welcomes rats. dance in nature’s circling seasons. for hearts are healed in letting go. until she meets with Temperance. I read this before, but didn’t comment it seems. So powerful, Deborah, as they all are. Thank you again for the illumination. How do we meet Death with calmness and let it’s presence transform? I’m reminded of the 3 horsemen Vasilisa sees on her journey to Baba Yaga’s hut. And also of the teaching of Don Juan to notice Death sitting on our left shoulder and consult its wisdom. I’ve been doing that since around 1970 when I first read the book. Yes, Death is final for body, but not for psyche. Nearly 9 years after my husband’s death, he appears in my dreams frequently, including last night. The inner relationships continue. The Moon cycles endlessly, holding all the transformations. I learned about my own death when Vic died–one of those many practice sessions followed by my brother and then the not-dying of my mother-in-law. Death is quite a teacher of the ego’s helplessness. We see in the madman in the White House what the fear of death can do. Thank you so much Elaine for sharing your own wonderful, and generous illuminations with me. As soon as I read your radiant reply I thought I must reread the story of Baba Yaga! Ah! Now you too, alongside Susan, have mentioned “looking over your left shoulder to Death” … hmm, no coincidence I think, so more Don Juan reading there too. Such wonderful reminders, much gratitude! Well, as for the man in the White House, looks like his Shadow has completely taken over, and that’s totally scary! It’s difficult for me to put into words how deeply honoured I feel to have been able to read about these dreams you’ve had since Vic has died nearly nine years ago. Please know that I have learnt so much from you, and your beautiful, poetic writing on your blog, and that you’ve helped me more than you’ll ever know. I hope that your anniversary rituals for your brother Jim went well. 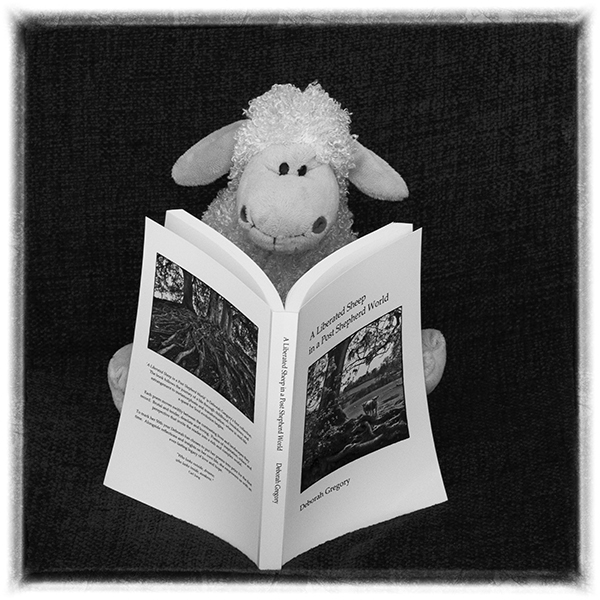 I enjoyed reading your heartfelt “Three Little Love Stories” enormously! Yes, the inner relationship continues indeed. I’m a huge fan of Skip’s videos and loved his recent “Two Wives Archetype” one which has helped me enormously make sense of a series of dreams I’ve been having lately. I hope this lovely day finds you well. Blessings always, Deborah. ooooh, life and death and all else in between. Love this Deborah thank you! We never know when the bell will toll and for whom …. I remember reading about keeping death alive on one’s left shoulder. Your post reminded me immediately of the significance of that. It’s not morbid … and now I’ll think of the mystic white rose also. May your May day be blessed, and all days as we meet Temperance within and without. Thank you so much Susan for your wonderful words, May blessings and deep reflections on this card. I hadn’t heard of “keeping death one one’s left shoulder” so was keen to investigate further, quickly discovering don Juan’s work on personifying death, by quickly looking over the left shoulder to glimpse death … so many great lines in the article I read, including, “How can anyone feel so important when we know that death is stalking us? What a great question! Nowadays, whenever I turn over this card I smile, knowing there’s a necessary end approaching. Ah, Temperance, within and without, perfect! Blessings always, Deborah. The perfect poem for the 1st May as the spirit of rebirth and growth is all around us! When the Jack is released at the May Day parades he is torn apart, his leaves distributed all around, marking the end of one cycle and the start of another. I’ve rambled a little so just to round off – I think nature’s circling seasons and going with the flow provides the answer, as difficult as that can be, as moving on is the only answer when faced with Death. Another wonderful poem Deborah, you take us on such a rich journey with the Tarot, thank you!! Thank you so much Sophia for sharing your wonderful insights on this mysterious, and magick-al card. May is one of my favourite months of the year, as we edge closer to summer … and I love the whole, “Jack in the Green” festival vibe. The greening, dressing up, Morris dancers and drunken drummers, alongside the ancient, pagan ritual of dismemberment. Yesterday, and the ego must be swallowed whole if we are to dance with change. The whole experience is not pleasant as Susanne rightly states, as there’s no coming back from death, yet the heart must release in order to heal … change transforms mind, body, soul and spirit. Great to hear you’ve worked deeply on yourself, and greatly reduced your fears. I believe there’s always another big adventure waiting within us, or maybe even two or three! Ramble on, that’s great! It’s what I really enjoy about the small group of like-minded souls that gather here on my poetry blog … love the depth, insights and richness of their kind-hearted, soul-evolving responses. Blessings always, Deborah. Thanks for sharing your visions on the tarot. There is no card so painful as death, because it is a goodbye for ever. 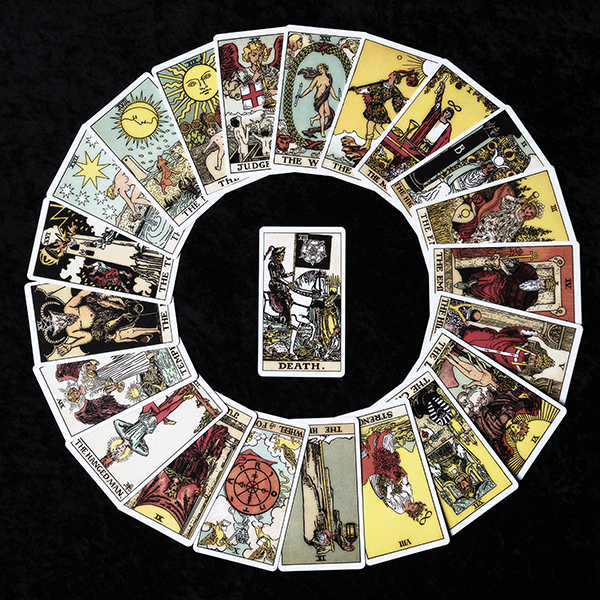 I love the fact that you tie death to the moon: did you know that the two towers on the background of the Rider tarot card return on the card of the Moon, number 18? Those two towers symbolise the two different worlds, one of living and one of death things. They stand next to each other because it is a natural thing to balance your energy between them. Thank you so much Susanne for your wonderful comment and rich reflections on the Tarot’s Death card. Re the Moon connection, I’m so happy you noticed! Yes, I couldn’t ignore the fact that this card is number thirteen and shared the same two towers. Love the way you describe that standing between as the natural place for us to integrate, and balance our energy. The divine, sacred symbolism in this card literally blows me away! Blessings always, Deborah. Deborah, your tarot poem brings the Death card to life! It’s wonderful to continue the fool’s journey with you. I did ponder on what would happen next when you came face-to-face with death. I hope you had lots of fun swinging upside down from Odin’s tree!! Thank you so much Anna for your lovely comment, it’s great to be back. Ha-ha! … and the right way up too! Yes, we had lots of fun, swinging, meditating and just “being” with Odin’s tree(s) … wonderful times too visiting many of Wiltshire’s and Somerset’s spiritual power centres. The more I work with this card, the more symbolic awareness I feel I gain. Blessings always, Deborah. Hi Deborah, Happy May Day!!! The Jack is slayed and spirit of summer released. Perfect day for a declutter I thought. Read and enjoyed again. Here, the Jack in the Green is ritually stripped of his leaves late afternoon, after that, fingers crossed I get to take some home! It’s an ancient, pagan celebration not to be missed … just hoping the sun’s going to put in more of an appearance today. Yes, it’s a great day for May-ness! I agree it feels right for decluttering … stripping away what’s no longer needed, in other words … letting more stuff (however defined) go! Many thanks, Deborah.